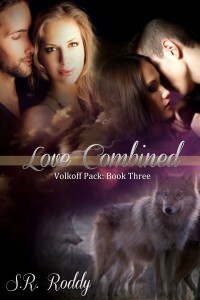 Volkoff Pack: Book Three — Cover Reveal! Two sisters, twin mages, have suffered for over a century with the inability to experience even the most casual of touches from another. A move by the now struggling European Council has placed them as pawns in a game neither wanted to join. Two men, both shifters have spent their whole life sharing the good and bad moments life has thrown at them since birth. Now the most powerful werewolves in their society must meet their destiny head on as the Goddess tests them once again. Say hello to a few new characters, as well as many old ones in this double romance. Mia gets her wish for two more of the people she loves as Dmitri and Grigor fumble through the possibilities of a happily ever after. While the book is delayed until Spring of 2016, the cover is finished. The decision was made by my publisher, Fantasy Spectrum, to push the release date back until the beginning of the new year. I promise to send out a notice when the official date is set. In the mean time, a short excerpt is available to whet the appetite for this future release. On a side note, I want to wish my daughter a happy anniversary. Once again, I believe my eldest daughter has used her creative talents to turn out another spectacular cover. At age 20, she celebrates her fourth anniversary in this artistic field and I’m proud of her accomplishments. Joelleen, or sandpuppet as she’s known in the creative community, began making book covers at the age of 16. Her debut cover, Lisa’s Halloween Surprise, appeared on Amazon in December 2012. A collection of her works, from beginning to present, is available on pintrest.